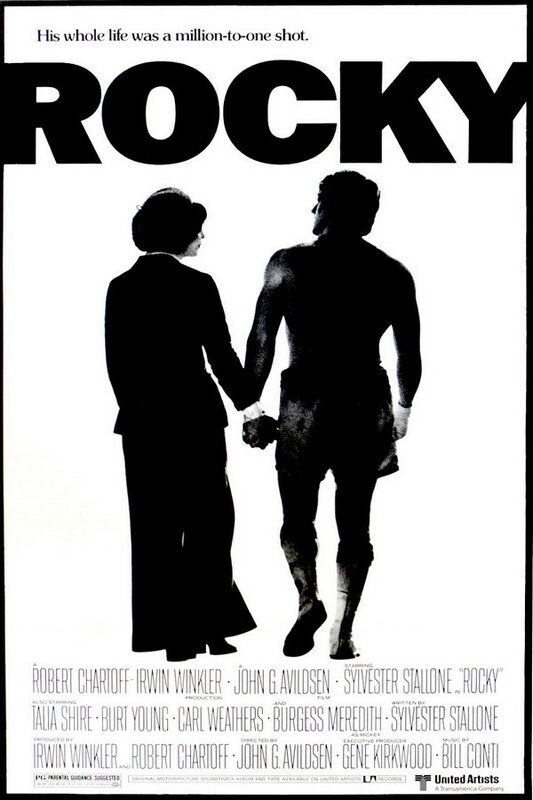 Rocky is a series of boxing themed films first released in 1976. The film revolves around Rocky Balboa, who started out as a club fighter and debt collector and later got a shot at the world heavyweight championship. The film title was designed using a bold and black type. A font called Franklin Gothic designed by Morris Fuller Benton is very simiar to the lettering. The font is a commercial one and is available for purchase here. In addition to Rocky, Franklin Gothic typeface is also used in the following logos, movie posters or album covers etc., including: Mystic River, Nebraska, Good Things, Milo Goes to College (Descendents), The Adventures of Pete & Pete, The Dark Knight, Smokin’ Aces, Bill Cunningham New York, Cosmopolitan Logo, Godless (TV series), Labour Isn’t Working, Bank of America, Reno 911, Dropbox, Vampire Academy.